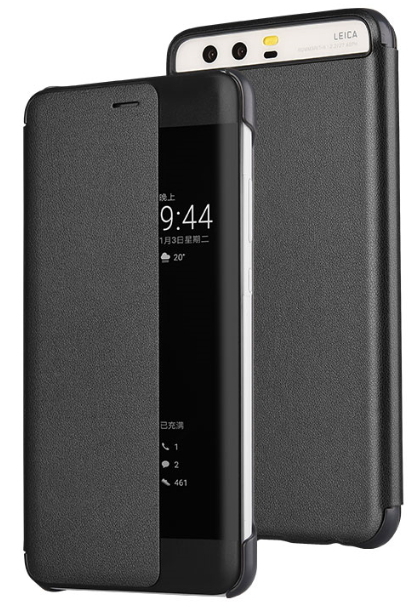 Flip PU leather case for Huawei P10 phone. 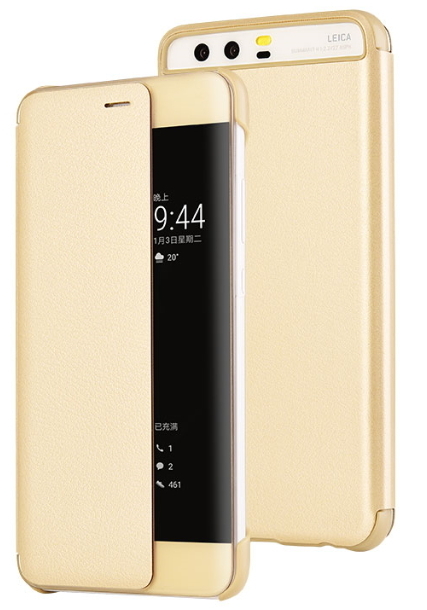 The well designed case is made of high quality PU leather, with a window at the right hand side to show useful information such as time, date, number of unanswered phone and unread text etc. Smart case design. The phone screen goes black when you put the cover on and automatically wakes up when you open the cover. And you can pick up phone without open the flip cover. Comes with a free screen protector. Colour available: gold and dark grey.